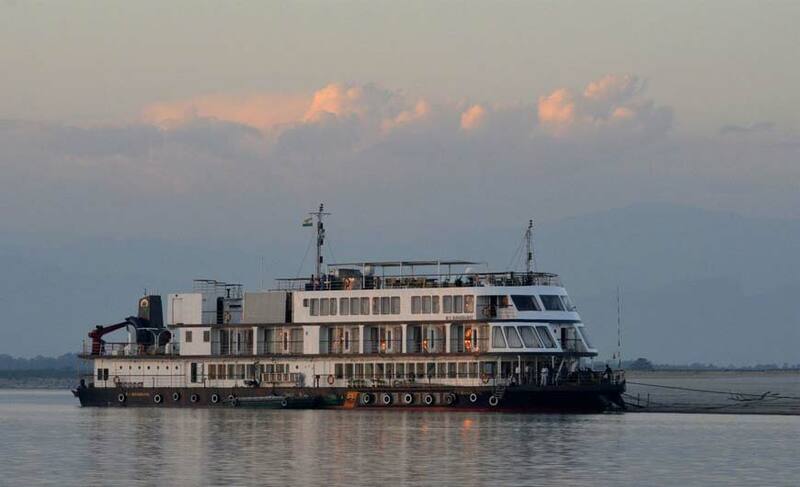 Brahmaputra River Cruise-Exceptional! Enchanting! Enigmatic! River cruising is an interesting way to explore the charm of a place. 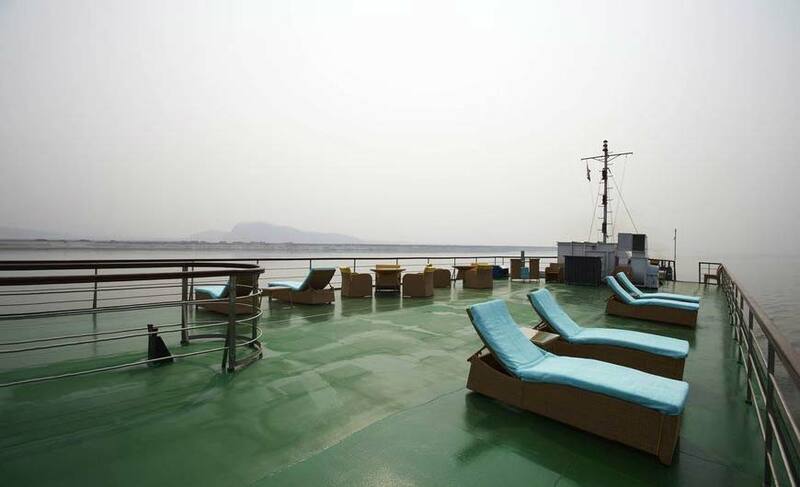 Floating on a mesmerizing river amidst relaxing environment is a blissful experience. And for such an experience what can be more promising than Brahmaputra River Cruise in Assam, a beautiful land of rolling hills, thick forests and plains. Around 40 km in width and spanning over 3 km, Brahmaputra is one of the enchanting rivers of not only India but Asia. It is the only navigable river in the world. Located at the foot of the Mount Kailash, this fabled river orignates from the glacial waters of the holy Mansarovar Lake. In fact, it is the only river in Asia from which Jeep, elephant and boat safaris are conducted. And it is the only river from which you can see 7400 mtrs high snow covered Himalayas. Everything about this river is fascinating! 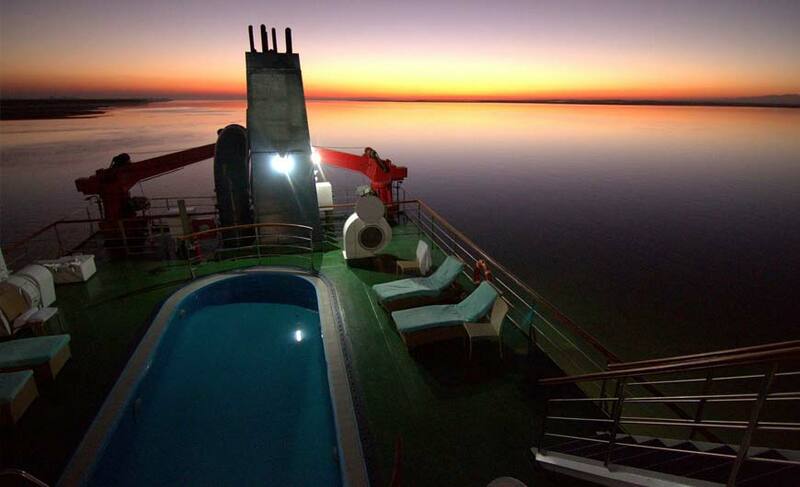 Brahmaputra River Cruise comes with a heady mix of adventure, natural beauty, luxury and comfort. It takes you to the enchanting attractions of north eastern state Assam. It offers an opportunity to go deep into the heart of the state, experience its beauty, local sights and culture. The cruise will take you to dense forests, mesmerizing lakes, different wetlands, temples, historic sites and monasteries. The river also supports a range of rare flora. 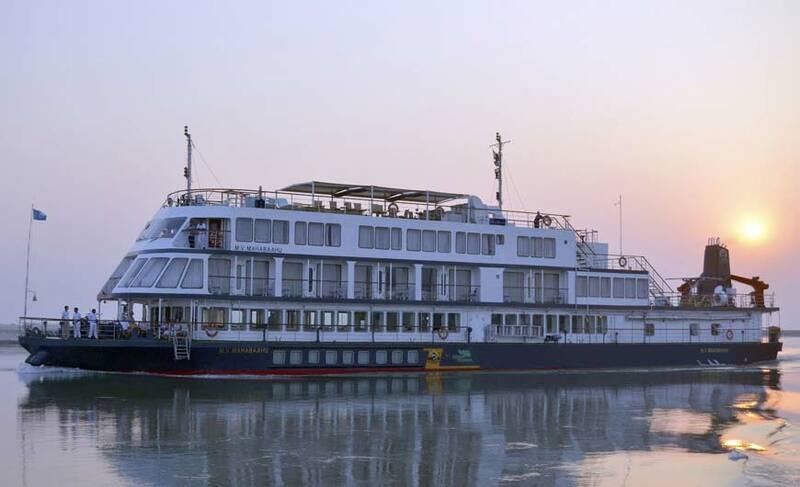 The wonderful destinations covered by the Brahmaputra Cruise are Guwahati, Manas National Park, Hajo, Kaziranga National Park, Majuli Island and Sibsagar. The area along the river is an abode of around 850 species of birds, fresh water dolphins and other wildlife like elephants, rhinos, wild buffalo etc. Also the surrounding region is home to many tribes. While cruising treat your eyes with the great views of ancient castles, quaint villages and arresting cities. Also, the personalised service, well-equipped cabins, delicious food and enchanting views on the cruise will surely take you to a different world altogether. Apart from this you can also enjoy wildlife safaris, barbecues on river islands and a tea plantation visit. There is so much to do, so much to experience on this exclusive river cruise.